The Darwin Waterfront will be centre-stage this New Year’s Eve, with three headline national acts, local artists, children’s entertainment, food stalls and fireworks displays. The Choirboys’ Mark Gable, Taxi Ride’s Jason Singh and Australian singer-songwriter Dean Ray will perform hit singles from over four decades of rock music including well-loved tunes ‘Run to Paradise’, ‘Creepin' Up Slowly’ and ‘Call It A Day’. Local artists Josh Wyatt and Max Fredricks will be supporting acts, along with the incredible DJ duo Hello Bass & Von Lit who will MC and keep the crowd entertained. Craig Phillips from Toowoomba, Queensland, will welcome in the New Year after the headline acts with classic alternative and country rock cover songs. Early in the evening there will be free children’s entertainment including two Nick Jr.’s PAW Patrol ‘Ready for Action’ shows and a meet & greet, face glitters, balloon twisting and roving entertainment. Pack a picnic dinner, blanket and chairs and relax on the lawns for an evening of entertainment. There’ll be food and drink stalls and restaurants are taking dinner reservations. Eskies are welcome, but no glass or alcohol is permitted. To support the New Year’s Eve celebrations, the Northern Territory Government is again providing free bus services to the city and NT Police will be vigilantly patrolling the streets. 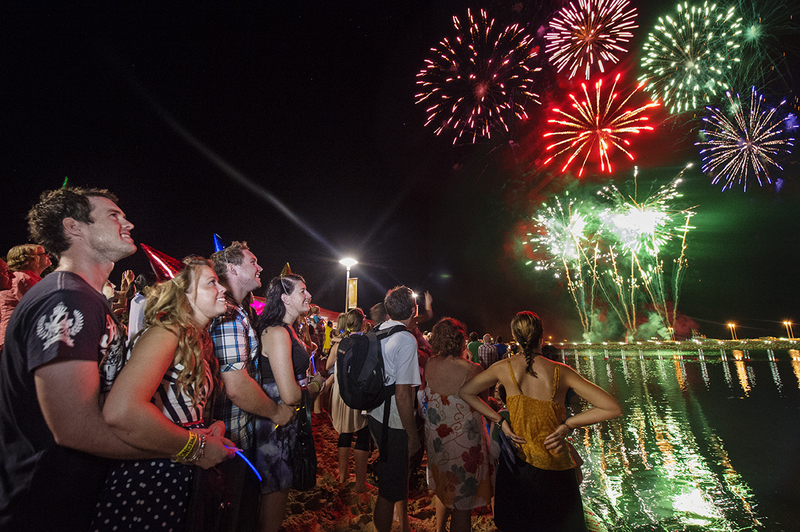 The popular New Year’s Eve event has been made possible with the investment of Toga, Darwin Waterfront Corporation and local Waterfront retailers. For more information, go to the website or like the Darwin Waterfront on Facebook.